This is a great beef fajitas recipe of mine that I would like to share with you. The flavor of the meat is outstanding, and you are sure to please the crowd every time. Let me know what you think!! The pictures show my beef fajitas, and my chicken fajitas which I cooked at the same time. Trim the Membrane off of the fajita meat. 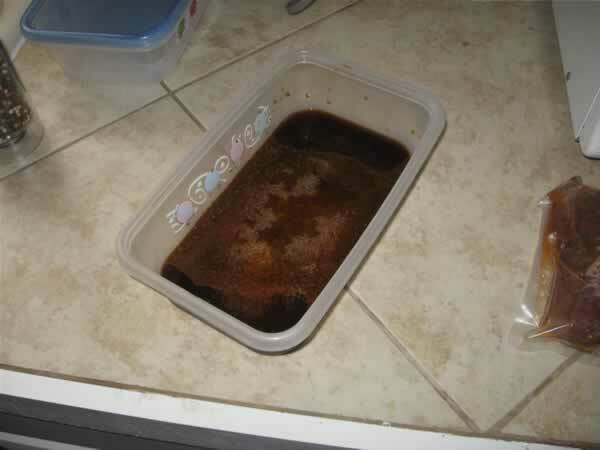 Place fajita meat in the marinade. When the coals are while and orange, the fire is ready. 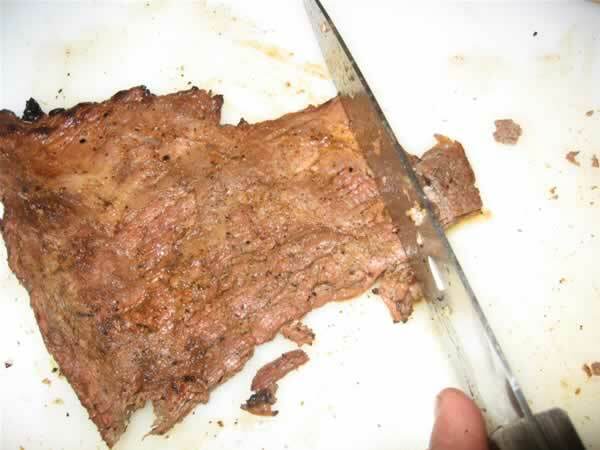 Slice the fajita meat across the grain. 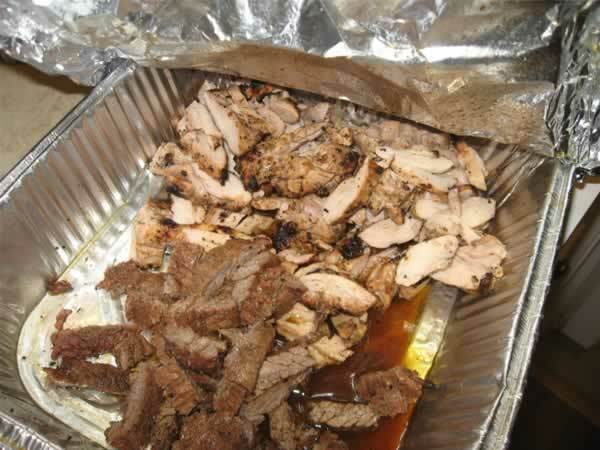 Place the fajita meat in an aluminum pan covered in foil to rest for 5 minutes before serving. 1. 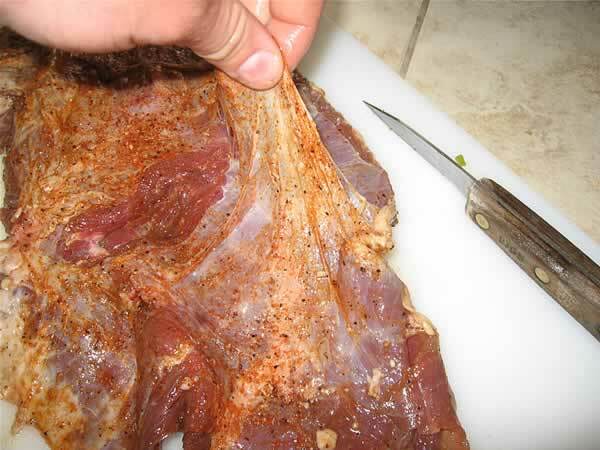 Trim the membrane off of the back of the meat with a sharp knife. It will be a white, thin, glossy layer. 2. Mix all ingredients together in a large bowl with a whisk. 3. Add tenderized beef skirt steak (your local grocery or meat market can tenderize it for you) 3. Marinade for at least 6 hours, up to overnight. 4. 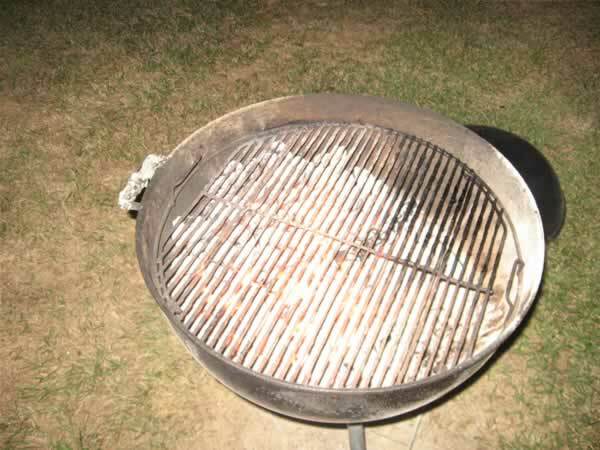 Build a hot fire in your grill. You shouldn't be able to hold your hand over the grill for more than one second. 5. Let the coals cook down, the should be white, and will be extremely hot! 7. Let the meat rest for at least 5 minutes, covered in foil. 10. Serve with sautéed onions, pico, avocado, sour cream and cheese! !